The most important lesson I learnt when I tested Amsterdam museums with Seb Chan is ‘deliver what your visitors expect’. 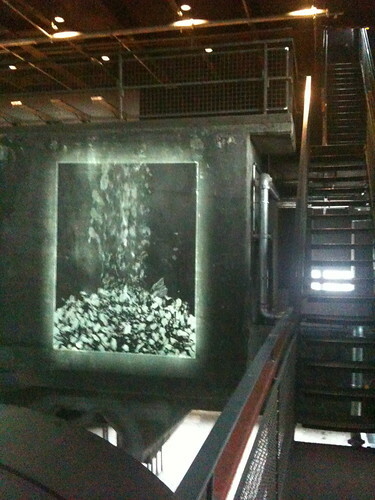 Last Friday I visited the Ruhrmuseum in Zollverein, near Essen. It’s one of the best museum I’ve ever visited in my life. Most of its success, I think, is due to them delivering what people expect to find in this museum: a full sensory experience that makes you discover the Ruhr area as it really was (and is). 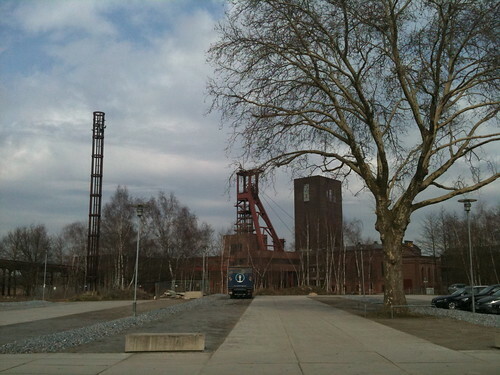 The Zollverein Coal Mine Industrial Complex is a deserted mining complex in Germany’s Ruhr area. When mining stopped in 1986, rather than waiting for it to wither in slow decay, the complex was reformed to a cultural center. It’s on the UNESCO list of World Heritage Sites. The complex looks impressive. Enormous buildings, long transportation belts, heavy machinery everywhere. A cultural institution in the the remnants of the industrial revolution to me always is a promising thought. 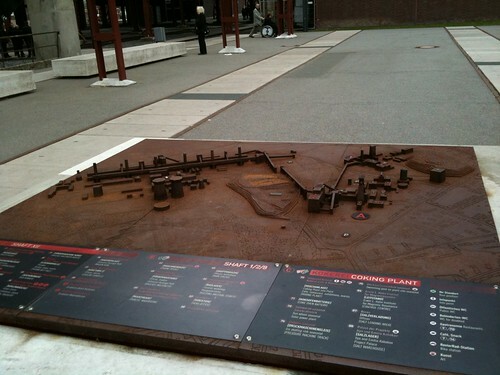 On top of the surroundings is the actual entrance to the Ruhrmuseum. 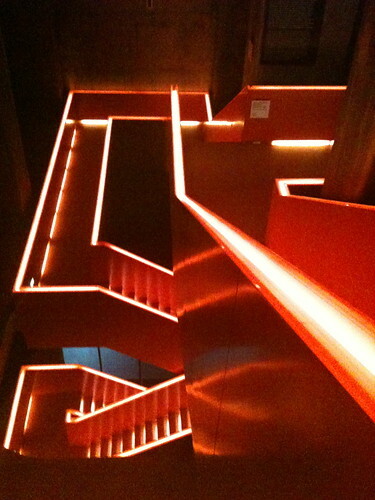 An orange escalator takes you up some 25 meters to the central hall of the museum. (See pictures at the top.) With these escalators the museum does a great job in taking you out of the usual and into ‘something special’. Needless to say, expectations are extremely high when you reach the central hall. Inside, most of the original construction of the building is still visible. Machinery, concrete and iron are the basic ingredients of the building. The newer additions to the building are either made of original materials so they blend in, or very minimalistic with dark wood and glass. The redesign of the Ruhrmuseum is done amongst others by Rem Koolhaas. Although the building at times feels like a maze where you can freely wander around the machinery and shafts, there is still a clear route which pulls you towards the main exhibitions. This created a sense of freedom, where it is allowed to touch things, interact and be amazed. Even the opened doors that led nowhere increased this feeling of being in a creative atmosphere where you’ll discover something worthwhile. The most beautiful part of the entire building, in my opinion, where the stairs shown above, which gave access to the temporary and permanent exhibitions. 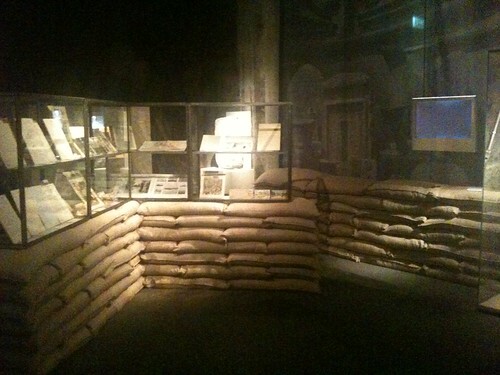 The permanent exhibitions shows the history of the Ruhr area. It felt more like an art exhibition than a history one, and to be honest I didn’t learn much about the area, happy as I was to see all the beautiful artifacts, photography and other things. The temporary exhibition was about archeology and I was especially amazed to see how they transformed the industrial building into something that resembled an Egyptian archeology site. All sorts of media (sound, images, videos) and original artifacts were combined in surprising ways that sparked curiosity, discovery and enthusiasm. A special word of praise goes out to the staff of the Ruhrmuseum. In German museums there’s usually a lot of security and ushers keeping a close eye on the visitors. Often, there’s so many of them and they keep such a close watch, it makes me feel uncomfortable and want to leave the museum. 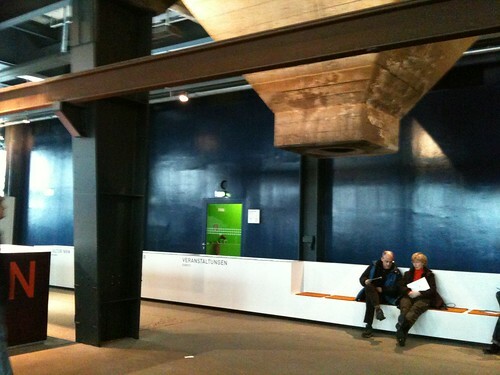 Without exception the staff of the Ruhrmuseum were friendly, helpful and keeping respectful distance to the visitors. They did their best to improve the visitor’s experience, rather than treating them as potential criminals. There are quite some interactive installations in the Ruhrmuseum. Not all of them worked out as well as they could have. Especially the touchscreens did not live up to contemporary standards. The more timeless installations, however, made up for that quite well. 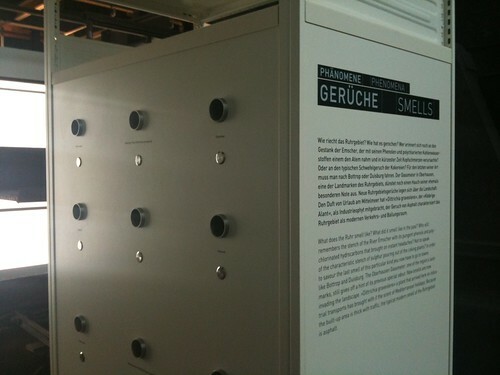 Especially in the permanent exhibition there were quite some appealing installations, such as the above which gave the smells of the Ruhr area. They were strong and recognizable smells. Other installations presented sound and vision. To feel how the Ruhr area must have felt, touching one of the machines or pipes running through the exhibition area was sufficient. 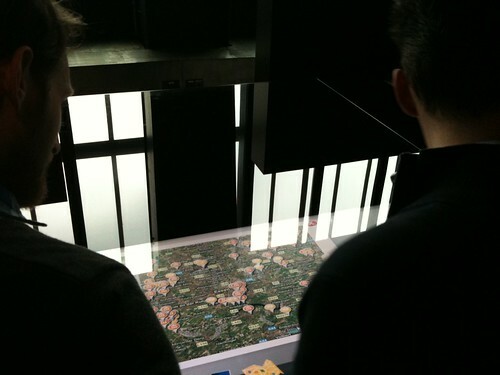 Through its installations, the Ruhrmuseum gave a full sensory experience of the Ruhr area. Form and function are in perfect harmony in the Ruhrmuseum. Everything is aimed at delivering a full sensory experience of the Ruhr area. After leaving the museum I felt great and I’m looking forward to visiting again and taking more time to discover everything the museum has to offer. Great design and architecture help to create an atmosphere in which discovery is encouraged. A museum must create a sense of individual freedom to foster discovery. Everything adds to this: the people, the installations, the routing. Simple installations that focus on other senses than the ordinary ones you use in a museum, such as smell, can have much more impact than innovative installations that focus on vision and sound. 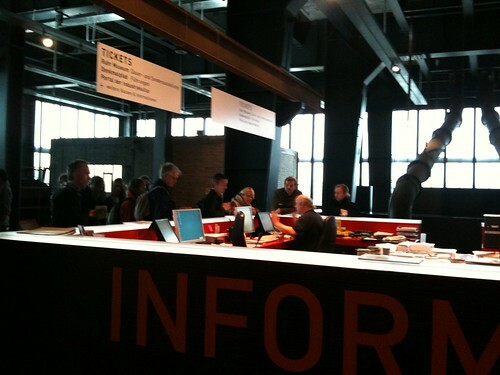 It pays off to take quite some time to get visitors in the right mood and mindset before they enter the exhibitions. A great museum doesn’t necessarily need great artifacts. I can definitely recommend the Ruhrmuseum to everyone. It’s a beautiful and easily accessible museum. And if you go, let me know what you think!